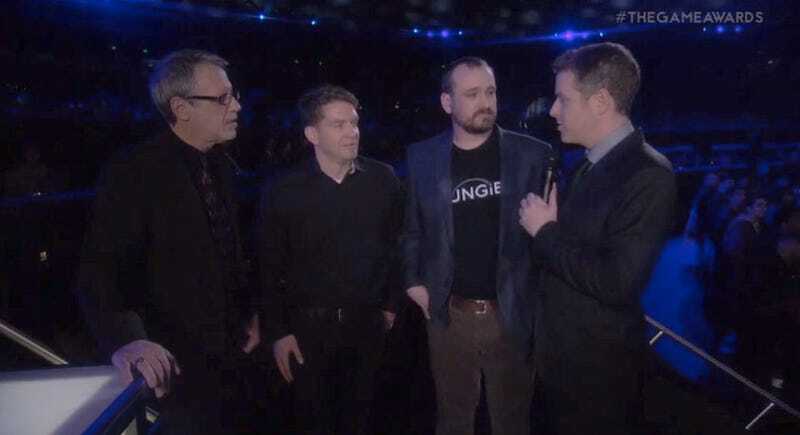 At The Game Awards tonight in Las Vegas, the guys at Bungie finally figured out what to do with their hands. Good job, guys! (Hey, if they can joke about it, so can we.) And congrats to them on Destiny's wins for Best Soundtrack and Best Online Experience.